Whether you are moving to a different location, attending a motorcycle rally in a different state or buying a motorcycle out of state, you would need a professional motorcycle shipping service to ensure the safe delivery of your automobile. The post gives you a checklist of factors that you must keep in mind when preparing your motorcycle for shipping. While some shipping companies require you to keep the fuel level low, others would do it for you for an extra cost, if they require fuel to be completely drained. It is, therefore, advisable to check with your motorcycle transportation company about the general fuel tank guidelines. Also, prior to shipping, make sure that there are no instances of any fluid leakages. 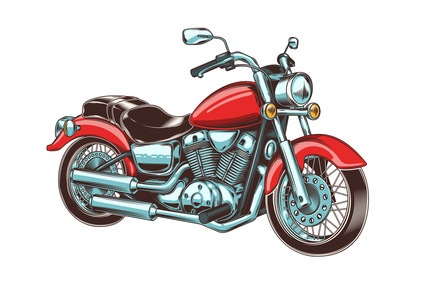 As tires are the part of suspension and work as a cushion during the transit, it is important that the tires of your motorcycle are appropriately inflated. Make sure there is no sign of punctures in the tires before loading it on the transportation trailer. It is not always required to remove the battery of your automobile prior to its transportation. Some movers, however, require you to disconnect battery prior to the pickup. It is also advisable to disable or disconnect devices, such as alarms, and communication devices that could potentially drain battery power during the transit. If there are any loose parts that could fall off during the transportation, make sure to secure them safely or remove them if required. For example, parts such as the exhaust, saddlebags should be properly fastened to avoid loose parts being thrown around during the transit. Movers are not responsible for such type of loose parts. As motorcycle shipping insurance only covers the theft or damage caused to the motorcycle during the transportation, it is a sensible decision check saddlebags or trunks to ensure that there are no valuable items left behind. When hiring a motorcycle transportation service company, it is a good idea to spend some time reviewing the condition of your motorcycle and note damages prior to shipping. Following this checklist will help you prepare your bike for a safe transportation. We, at EasyHaul, ensure that your motorcycle is transported to its designated location in a smooth and hassle-free manner. Should you wish to learn more about our transportation services, call us at +1 (360) 597-9320 , or fill out our contact form to get instant motorcycle delivery quote.